Yesterday I incorporated (most of) the suggestions I got from my writing group on improving the first chapter of my WIP, "Snowed in With a Millionaire". There are always going to be some instances where I want to keep my original words, but I also know when to look at my work objectively and see that someone else is right! 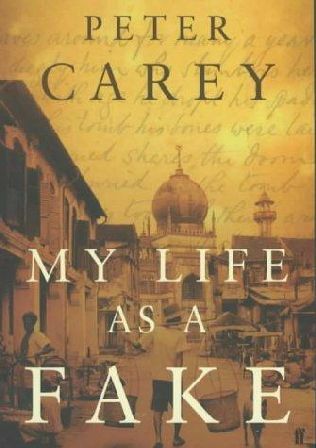 Peter Carey is the author of numerous books. Even though NaNoWriMo is officially over, I did get another letter in my inbox from him. Here he shares his advice with writers. Writing is the easiest thing in the world. Anyone can do it. It's like hitting a tennis ball against a wall. It's like swimming. Anyone can learn. You don't have to be the best. You don't need to compete in anything. On the other hand, you may aspire to be a celebrated star. But if you dream of making something original and beautiful and true, if you imagine seeing your book reviewed, or in the window of a book store, you're in the same position as the ambitious swimmer—you've got a lot of training to do, a lot of muscles to build, a lot of habits to start establishing right now, today. If you know what these good writing habits are, there's nothing more I can give you. Perhaps you know what I'm going to tell you—you have to write regularly, every day. You have to treat this as the single most important part of your life. You do not need anything as fancy as inspiration, just this steady habit of writing regularly even when you're sick or sad or dull. Nothing must stop you, not even your beloved children. If you have kids you do what Toni Morrison did—write in the hours before they wake. If you wish to be a like the champion who swims for four hours every day of the year, you will need extraordinary will. You either have this or you don't, but you won't know unless you try . Let's say you (quietly, secretly) want to be a genius. Then you must teach yourself to be self-critical. Trust me—your own uncertain opinions are worth one hundred times more than the judgments of your friends. Your friends love you and are may be very smart. But they cannot imagine what you have not yet imagined. So don't show them stuff you fear may not be right. But if you do pull that plug you've just created time for that exercise which is going to build up your writing muscles like nothing else. It's called reading. Perhaps you are already reading good books for several hours a day, in which case you don't need me to preach at you. Forgive me. I only mention this because I have met an extraordinary number of beginners who don't think they need to read anything too much. I don't doubt these people enjoy their writing, and perhaps they will even get to publish something. But you can not play the top game without reading every day. There are so many extraordinary books waiting for you, some writing by living writers, the majority by those a long time dead. This is not because writers used to be better than they are now, but because a lot of generations have come before us and we would be crazy not to know what miracles they achieved. Some of the great books are about people with lives just like you. Some will have characters you can 'identify' with, but some of the very greatest will tell stories you could never have imagined, were written in languages you cannot speak, and tell the stories of people like none we have ever known. Now you've killed the TV, you should invest in a very good dictionary. So what books should you read if your greatest aim is to lift your game? Clearly "Goose Bumps" is not going to help you in your ambitions, but where to start, where to continue the adventure you're already on? I'd suggest a wonderful new book by Francine Prose, "Reading Like a Writer.Go buy this now. You may already be a disciplined, talented original writer but you will not be sorry to read this for two hours tomorrow. You can learn more about Peter Carey's writing at his website. Today I will be going to my writing group at the Barnes and Noble, where I will see if they agree that my query and synopsis for "The Movie Star's Very Personal Assistant" is ready. Then I will have to just do it - and send it out into the world.